Lee's outstanding tribute to Bolton's funny man Peter Kay has now been enjoyed by thousands of fans throughout the UK and abroad. 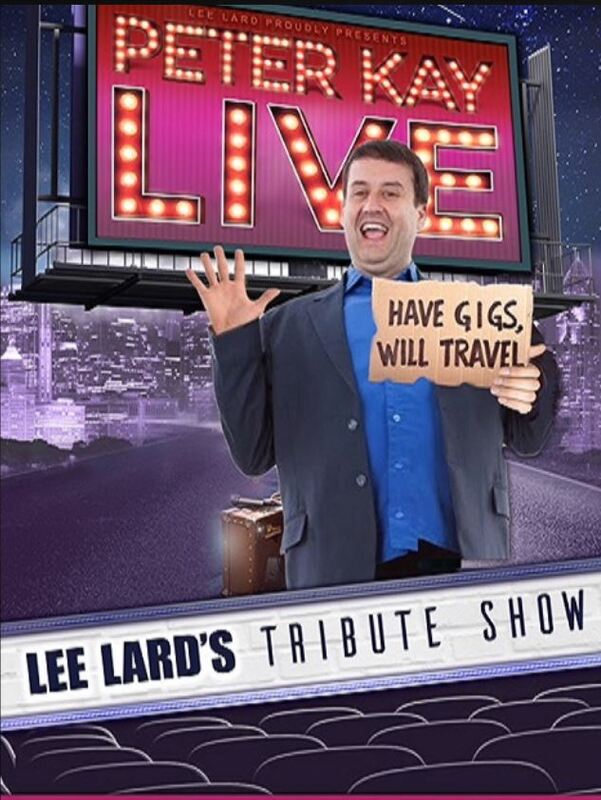 Lee Lard's Peter Kay Tribute Show is as popular now as ever and continues to 'sell out' wherever he goes. Lee started as a comic back in 1993 and turned pro in the year 2000. In the early days, working in a comedy duo called Lean & Lard. After learning the craft and serving his apprenticeship in the tough northern clubland for 10 years, Lee made the move to go alone. After being invited to work along side Peter Kay on the biggest Comic Relief video ever in March 2005 this new comedy career was born! Also a renowned after dinner speaker, Lee has certainly chiseled a reputation on the comedy map. Lee is a performer with a remarkable track record in providing first rate entertainment in a variety of settings and at some of the most prestigious venues around the UK and Europe. Lee’s humour is fresh, original and contemporary. Able to tailor his performance to suit any audience or occasion, he specialises in Corporate Hospitality and Events, Sporting Functions and Charity Fundraisers, and is an accomplished host or compere for any occasion.